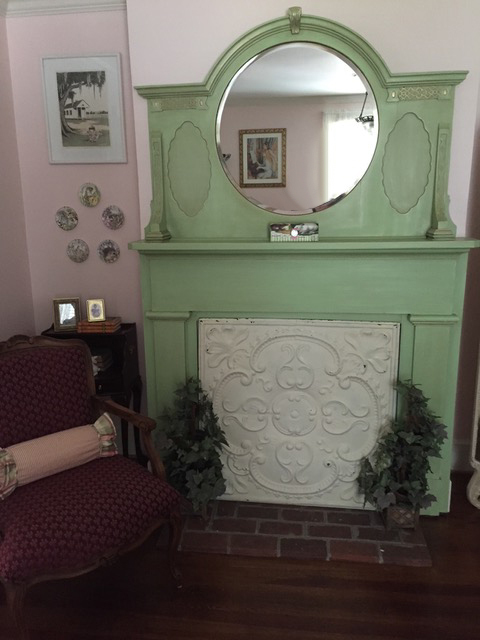 Need a refreshing look for your fireplace? Try using a decorative tin fireplace cover to accent your hearth on those warm days when you don't need to have a fire going, or to hide a messy fireplace. The 36" x 36" styles usually cover all or most of the entire facing inside a small or antique fireplace mantel, yet they work with most standard size fireplaces as well. On chilly nights just remove the cover and start a fire - it's that simple. 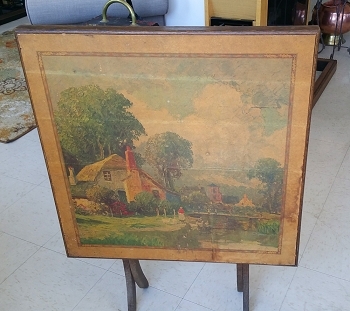 These tin fireplace covers have hanging brackets on the back. Install small nails or screws into the face wall above your fireplace and simply hang the cover in place, making it easy to remove the cover at any time. You can also put a band of insulation on the back to help provide a seal. 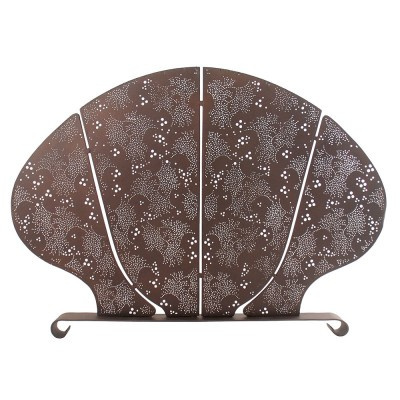 These tin fireplace covers can also be used to create a faux fireplace or for other decorative purposes such as wall hangings above your mantel. Or just keep an open spot above your mantel and display the cover there while you're using your fireplace. The finish is not fireproof, so please only use them with your fireplace when it's not hot so that you don't damage the finish. 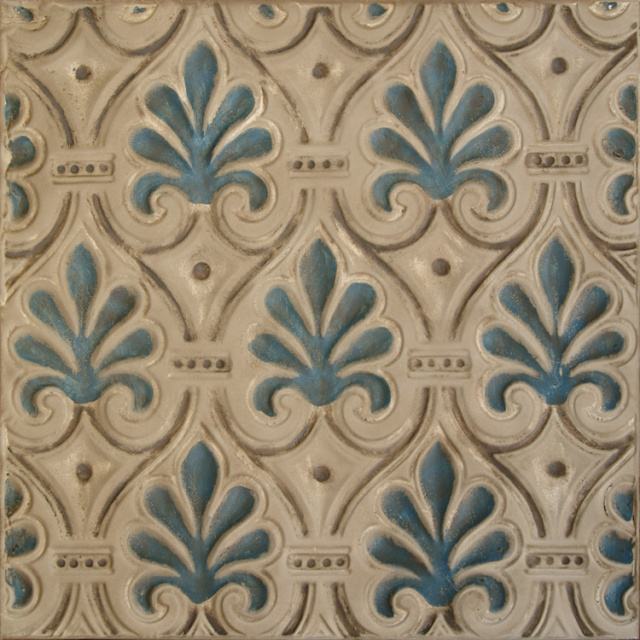 If you see a style you like and the colors don't appeal to you, it's very easy to simply spray paint them in minutes. 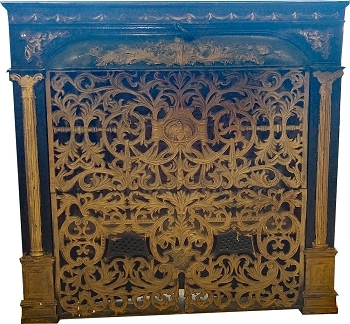 The tin fireplace covers are an excellent stand-in as a fireplace summer cover.